Plenary speakers Preston Sprinkle and Chris Date record a joint episode of the “Theology in the Raw” and “Rethinking Hell” podcasts on Day 2 of the 2018 Rethinking Hell Conference in Dallas–Fort Worth. They discuss their and other speakers’ presentations, answer audience questions, and more. Upcoming Event: Rethinking Hell Conference 2018 in Dallas–Fort Worth (March 9–10)! 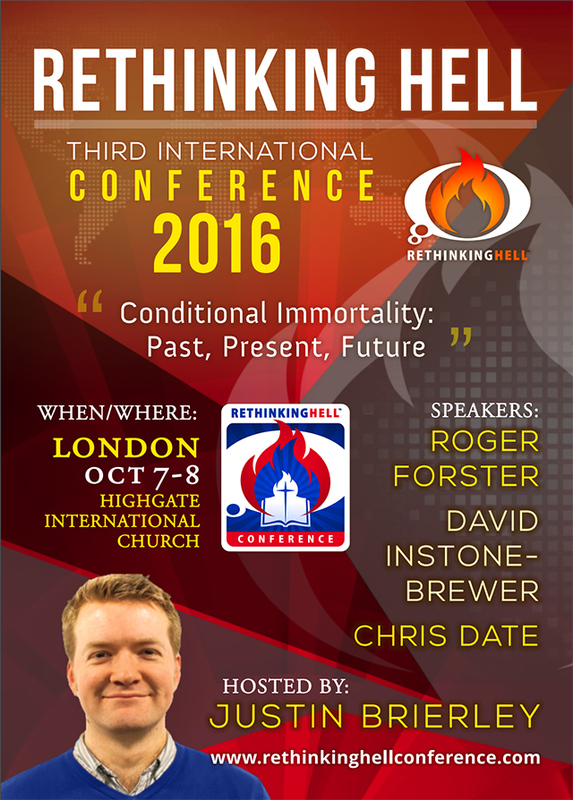 In 2016 and 2017 we took our Rethinking Hell Conferences across the Atlantic to London and across the Pacific to Auckland, respectively. But in 2018, we’re returning to the U.S. to hold our fifth annual Rethinking Hell Conference in the Dallas–Fort Worth area. We’ll be at The Heights Baptist Church in Richardson, Texas on Friday and Saturday, March 9–10, 2018. The Gospel Coalition (TGC) recently published an article entitled “J. I. Packer on Why Annihilationism Is Wrong.”1Gavin Ortlund, “J. 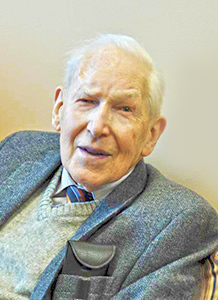 I. Packer on Why Annihilationism Is Wrong,” The Gospel Coalition, posted October 7, 2015, http://www.thegospelcoalition.org/article/j.i.-packer-on-why-annihilationism-is-wrong (accessed October 8, 2015). Ortlund was a breakout speaker at the 2015 Rethinking Hell Conference. An audio recording of his presentation is available for free download here. In it, TGC reproduces four arguments Packer originally offered against annihilationism in his 1997 article, “Evangelical Annihilationism in Review.”2J. I. Packer, “Evangelical Annihilationism in Review,” Reformation & Revival 6, no. 2 (Spring 1997): 37-51. Online: http://www.rethinkinghell.com/research/critical/j-i-packer. In Part 1 of Rethinking Hell’s response, we demonstrated that Packer’s first argument fails at every point.3Chris Date and Nicholas Quient, “Why J. I. Packer is (Mostly) Wrong: A Response to The Gospel Coalition (Part 1),” Rethinking Hell [blog], posted October 23, 2015, http://www.rethinkinghell.com/2015/10/why-j-i-packer-is-mostly-wrong-a-response-to-tgc-part-1 (accessed October 23, 2015). In Part 2, we refuted most of Packer’s second argument, demonstrating that the texts he cites actually support annihilationism.4Chris Date and Nicholas Quient, “Why J. I. Packer is (Mostly) Wrong: A Response to The Gospel Coalition (Part 2),” Rethinking Hell [blog], posted October 23, 2015, http://www.rethinkinghell.com/2015/10/why-j-i-packer-is-mostly-wrong-a-response-to-tgc-part-2 (accessed October 23, 2015). In this third and final installment, we will wrap up our response to Packer’s second argument and refute his third and fourth arguments as well. 1. ￪ Gavin Ortlund, “J. I. Packer on Why Annihilationism Is Wrong,” The Gospel Coalition, posted October 7, 2015, http://www.thegospelcoalition.org/article/j.i.-packer-on-why-annihilationism-is-wrong (accessed October 8, 2015). Ortlund was a breakout speaker at the 2015 Rethinking Hell Conference. An audio recording of his presentation is available for free download here. 2. ￪ J. I. Packer, “Evangelical Annihilationism in Review,” Reformation & Revival 6, no. 2 (Spring 1997): 37-51. Online: http://www.rethinkinghell.com/research/critical/j-i-packer. 3. ￪ Chris Date and Nicholas Quient, “Why J. I. Packer is (Mostly) Wrong: A Response to The Gospel Coalition (Part 1),” Rethinking Hell [blog], posted October 23, 2015, http://www.rethinkinghell.com/2015/10/why-j-i-packer-is-mostly-wrong-a-response-to-tgc-part-1 (accessed October 23, 2015). 4. ￪ Chris Date and Nicholas Quient, “Why J. I. Packer is (Mostly) Wrong: A Response to The Gospel Coalition (Part 2),” Rethinking Hell [blog], posted October 23, 2015, http://www.rethinkinghell.com/2015/10/why-j-i-packer-is-mostly-wrong-a-response-to-tgc-part-2 (accessed October 23, 2015). The Gospel Coalition (TGC) recently published an article entitled “J. I. Packer on Why Annihilationism Is Wrong.”1Gavin Ortlund, “J. I. Packer on Why Annihilationism Is Wrong,” The Gospel Coalition, posted October 7, 2015, http://www.thegospelcoalition.org/article/j.i.-packer-on-why-annihilationism-is-wrong (accessed October 8, 2015). Ortlund was a breakout speaker at the 2015 Rethinking Hell Conference. An audio recording of his presentation is available for free download here. In it, TGC reproduces four arguments Packer originally offered against annihilationism in his 1997 article, “Evangelical Annihilationism in Review.”2J. I. Packer, “Evangelical Annihilationism in Review,” Reformation & Revival 6, no. 2 (Spring 1997): 37-51. Online: http://www.rethinkinghell.com/research/critical/j-i-packer. In Part 1 of Rethinking Hell’s response, we critiqued TGC for calling into question the motives of annihilationists and doubting our commitment to the authority of Scripture, and demonstrated that the first of Packer’s reproduced arguments fails at every point as a challenge to annihilationism.3Chris Date and Nicholas Quient, “Why J. I. Packer is (Mostly) Wrong: A Response to The Gospel Coalition (Part 1),” Rethinking Hell [blog], posted October 23, 2015, http://www.rethinkinghell.com/2015/10/why-j-i-packer-is-mostly-wrong-a-response-to-tgc-part-1 (accessed October 23, 2015). As we shall see, Packer’s remaining arguments fare no better. RH Conference 2015: Breakout Audio! Two weeks ago about 100 evangelicals gathered to discuss the perennially hot topic of hell. What transpired was, by all accounts, unprecedented. As Jerry Walls put it, “Historic? I’m not sure it’s too strong a word. I can’t think of anything quite like this!” Seldom, if ever, have passionate evangelical proponents of competing views on a controversial topic gathered with the express purpose of discussing (arguing about) it, while nevertheless voicing their critiques with respect and in Christian love, enjoying the kind of camaraderie, fellowship, and unity to which their Lord has called them.